Legal and Business Advisors for Healthcare Providers since 1970. What kinds of arrangements are appropriate when a physician buys into a practice? Are you aware of the usual steps taken when a doctor leaves a practice? In the past, the solutions to these questions were fairly simple. Due to new tax concerns and economic changes, the answers have been modified and have gotten more complex. Oral & Maxillofacial Surgery Buy-Ins and Pay-Outs reviews and discusses these situations, incorporating the factors that affect the entry or exit of a physician. This book walks you through the valuation principles, offers language suggestions, and explains each of the concepts necessary to protect the practice. Each chapter offers a step-by-step analysis of a buy-in or a pay-out. Appendices include sample documents, including shareholders' agreements, employment agreements, and stock option letters. 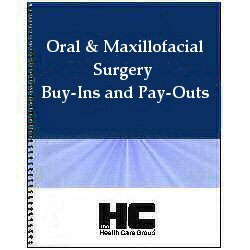 Oral & Maxillofacial Surgery Buy-Ins and Pay-Outs is an invaluable resource guiding you through the scenarios associated with incoming and outgoing partners.